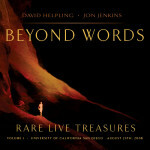 The eagerly anticipated release from Helpling and Jenkins, six years after it’s inception, finally comes to light. Deep spaces punctuated by powerful grooves make this album a rewarding listening experience that is beyond words. Travel into the deep and discover the magic and wonder of Treasure. "One of the best Ambient/New Age albums I have ever heard in my entire life!" One of the best Ambient/New Age albums I have ever heard in my entire life! I don't have enough words to describe how good this album is but this sure is a Masterpiece of it's own!. A mind journey through many of earths mystical places is what comes to mind when I listen to this incredible sound, a journey so full of emotions there is nothing like it! I can only say if you like sequencer based grooves such as Patrick O'Hearn's style then don't hesitate, just go out there and buy this disc immediately! "This is a ‘must have’ album for ambient fans, and one which could become an instant classic." Treasure goes to prove the old adage that some things can be more than a sum of the parts. Apparently it's six years since the inception of this album. 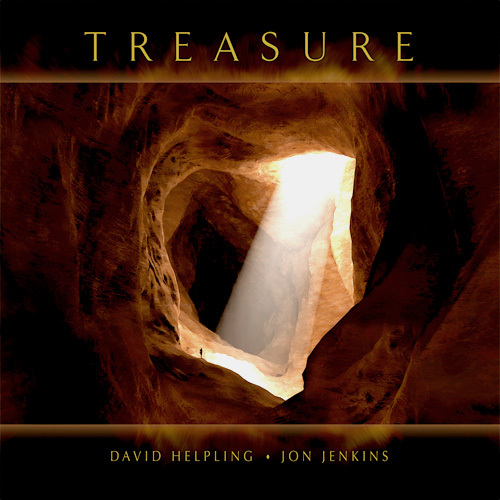 In that time Helpling and Jenkins have masterminded a work where each musician's input is readily noticed yet the overall result is more enchanting than the mere combination of their own styles. An auspicious and dramatic start to the album is made by ‘Grand Collision’. Smooth otherworldly synth washes discreetly ebb and flow then a percussively rhythmic section bursts in along with attention grabbing drum work. In between there's an interlude of dreamy synths, a simple repeating piano melody, brief wispy wordless vocals, and airy drum effects. A favourite piece of mine is ‘The Frozen Channel’. Frosty drones shimmer like sparkling ice fields, then a gentle rhythm and bright sparing piano notes come in as if we're on a boat journey passing through a peaceful Arctic landscape of towering icebergs and expansive floes. This is a prime example of how the album lulls you into a blissful and peaceful frame of mind where the imagination can be guided, or just wander, and dreams can unfold. In this music induced reverie it's easy to notice ephemeral things around you, such as dust motes glinting in sunbeams. Bringing the album to a close is the cinematic and poignant track called ‘The First Goodbye’. Resonant washes and pitter-patter notes like tear-drops coalesce into an emotional melody that slowly builds in intensity and rhythm. Listeners will find the textures of the washes and drones on Treasure to be exquisite. It's in this realm that the two musicians complement each other especially well. This is a ‘must have’ album for ambient fans, and one which could become an instant classic. "Treasure is easily one of my favorite CDs of 2007." Spotted Peccary has always tended toward the softer, smoother side of electronic and new age music, and that is certainly the case with Treasure, an easy-going collection of very pleasant relaxed tunes. The collaboration between Helpling and Jenkins seems a natural one, their styles seamlessly fusing together into an organic sounding release that would be right at home alongside Patrick O’Hearn classics such as Trust and Metaphor. Warm synth pads, gently strummed guitars, rich echoing percussion and bright piano all meld beautifully together. The drums are particularly powerful and moving in the title track as it builds. ‘The Knowing’ pulls back several notches, allowing room to breathe and feel the calm. Though I typically shun overtly new age music, this captures the best of its essence and distills it down into seven enjoyable minutes. ‘Into the Deep’ features a cool repeating, vaguely tribal musical phrase as it gently bounces along. And so it goes throughout, not a bad track in the bunch. Treasure is easily one of my favorite CDs of 2007. "one could expect only the best, and that's exactly what they have delivered"
Both Helpling and Jenkins each have numerous masterful releases to their credit, so in collaboration one could expect only the best, and that's exactly what they have delivered. The cover photo features a bright sunlit opening penetrating the depths of a giant cavern, and a tiny human figure standing at the cusp where the darkness meets the light; this, taken with the titles could well hint at a story line that these ten compositions follow, much like a film soundtrack, but without all the boring parts. Each piece is lush and cinematic, overflowing with subtle but distinct melodies and rhythms, often in multiple layers, all immersed in a dreamlike world of soft, smooth edged production values and drenched in reverb. Credits as to who plays what are not given, but it doesn't matter anyway, because there's no showboating; most of what the listener hears is built by the two composers with a unified vision, with multiple layers of synthesizers, piano, percussion, and the studio itself. This is powerful music with a symphonic bent, no harsh edges or sharp angles, and while each piece is distinct, everything tends to flow together nicely. As such this might be considered good accompaniment for relaxation or background music to counterbalance stressful tasks, although it's a little too active and busy for meditation or slumber. Recommended. "Helpling and Jenkins create a synthetic 7th heaven where the muses of Patrick O'Hearn, Steve Roach and Lanterna play." 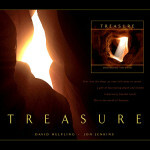 On Treasure (67'28’) David Helpling and Jon Jenkins create a synthetic 7th heaven where the muses of Patrick O'Hearn, Steve Roach and Lanterna play. The 10 tracks on this CD run from the emotionally charged and heroic to spiritually nuanced and serene. The key to this music is in its sonorous depth. Deep expressive tones provide space for reflection and expose a listener to the CD's poignant themes. Reverberant piano notes slowly dance above warm electronic harmonies as steely echo guitar plays against icy synth dots. Sultry percussion supports suggestive melodies while slow basslines advance in measured force. Helpling and Jenkins invent these gently humming atmospheres out of a shared spatial understanding. Treasure has emerged from within the inscrutable vastness of sound where these two creative streams meet. "a gigantic musical expanse that truly stirs the depths of the listener"
Melodic ambient music with spacey themes and lush electro-tribal beats. Treasure is a gorgeous collection of chilled instrumentals that ease smoothly in and out of broad percussive beats - billowing pianos, swooning guitars and warm strings well up into climactic surges and blissful come downs. Rhythmically the two musicians bring their diverse interests to bear on the project - David's Eastern hand drums and bells, Jon's shakers and Native American drums making for an absorbing percussive experience. 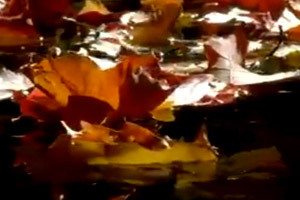 The lead lines are mostly delicate, understated structures that often sit deep within the overall textural swells - sometimes they are fully absent, washes and harmonious drones taking the lead - but there are also passages of delirious beauty, luscious, cascading melody and moments of heart stirring emotion. Ranging from dreamy grandeur and soaring rapture to gentle quietude and introspective subtlety Treasure has an organic soul within an electronic body. A shaft of light scythes through an unseen opening in solid rock to illuminate a rolling cave scene. At first the scale is ambiguous - perhaps just a small tunnel, the earthy home of some subterranean rodent - but soon the eye picks out a tiny human figure right at the edge of the light and suddenly the scale explodes - this is an enormous cavern sprawling into unseen distance and darkness. The rear imagery retains the underground theme, the same rich brown hues, another gleaming light source. Here the track titles sit in shadow, each with its associated timing. The inner booklet opens into two panels - within the initial image is enlarged and flipped into negative so that the figure glows with a light of its own. Here are credits, web site details and thanks. Treasure is released via Spotted Peccary Records, having taken six years to create, the album has stirred up considerable anticipation. From the opening moments this album establishes itself as a high quality experience - Helpling and Jenkins delivering a gigantic musical expanse that truly stirs the depths of the listener. So it comes as no surprise that these two artists are two of the label's most popular, best-selling acts, both having achieved considerable solo success. David Helping has produced much music for cinema over the years and his obvious ability to evoke imaginary colour and space perfectly complements Jon Jenkin's musical interest in creating music to ‘stimulate the imagination and transport the listener to another place’. Treasure is surely a CD that stands out from the crowd - appealing to lovers of tuneful ambience, fairy tale enigmatic groove and to anyone that loves very beautiful music. "the best of both worlds from these skilled musicians"
Treasure’ took over six years in the making, but is certainly worth the wait as it offers the best of both worlds from these skilled musicians. Its musical content is highly cinematic, ranging from beautiful ethereal soundscapes to rhythmic spiced compositions. There's a nice flow recognizable track after track, in which David's typical guitar work delivers another dimension to the already well composed & played pieces. And yes, the slight Patrick O'Hearn feel in Helplings music is still present. As is the case with all Spotted Peccary releases, the mastering by Howard Givens is very well done. I sincerely hope it won't take another six years or so for a follow-up album. 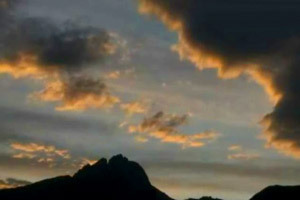 "an ideal album to let your imagination soar free"
In a work that will be liked by the followers of melodic Ambient as well as other instrumental genres, David Helpling and Jon Jenkins immerse us into a sonic adventure that adds elements from the most romantic aspects of Ambient to others typical of Contemporary Instrumental Music. The epic nature of some of the themes and passages happens to be really attractive, together with the careful staging of synthesizers that are used as accompaniment to the main melodies. 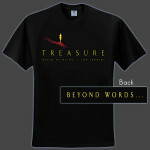 ‘Treasure’ is an ideal album to let your imagination soar free. "an album you'll cherish like a treasure, a secret, personal gift of lush, sonic immersion that carries a message from another world"
David Helpling and Jon Jenkins are both veterans of ambient electronic music. Although we've been waiting eight years for a new album by David Helpling, his 1999 release Sleeping on the Edge of the World remains an Echoes favorite with its seductive melodies and rhythms. Jon Jenkins last graced us with his subtle and exotic orchestral electronics on Beyond City Light a couple of years ago. My ears instantly go to the more rhythmic, quietly affirming tracks like ‘Grand Collision,’ ‘Treasure,’ and ‘The Knowing.’ These compositions emerge wraithlike out of swirling atmospheres and textures to quietly thundering percussion. But the texture works provide their own charm, like the siren-like loops of ‘Beyond Words’ or the cinematic expanse of ‘The Frozen Channel.’ That song actually began life as a soundtrack and the genesis of this project. Treasure isn't something you discover, following the map to where X marks the spot. Instead, it's an album you'll cherish like a treasure, a secret, personal gift of lush, sonic immersion that carries a message from another world. "these two individuals who joined forces to create something more than the sum of their individual talents and succeeded in a big way"
Even though Jon and David have been very successful with their music on an individual level for many years now this pairing was a perfect match of their musical abilities and their production sensibilities to create a blending of their talents into a collection of music that doesn’t seem like two individuals working together but rather the two speaking with a single voice through the music contained on this CD. Due to their schedules this project has been in the works for about 6 years now but as you listen to the music there is not even a hint that some parts were recorded a few years back and some more recently. This again points up the professionalism of these two artists in maintaining the same quality in their compositions from beginning to end regardless of the passage of time between the start and the finish of this project. Treasure was released on the Spotted Peccary label in mid June of 2007 and even though it has been several years in the making this release does not disappoint. Spotted Peccary has been releasing some great music since it was formed and this CD is certainly no exception to that tradition. Jon and David have created a sonic world on Treasure that is equal parts serene space drifts with luxurious synths suspending the listener in a peaceful environment and the more cinematic pieces that soar with rich and emotional music pulling the listener along for the ride. In many of the songs echoes of Jon’s guitar are heard as it accents and gives an anchor to the gentle synths and allows the listener to have something to hold onto during the more ethereal portions of the songs . One of my favorite tracks on Treasure that highlights this very well is one called Not a Soul Not a Sound and at 10:30 is one of the longer songs on this CD. The length of this song works to the advantage of the overall piece as it gives Jon and David a chance to explore in depth the environment that they have created and it allows the listener to become more submersed in the sonic journey they have embarked upon. The opening song of the CD is called Grand Collision and will give you a feel for the rhythmic elements that Jon and David have blended into this project with as much skill as they have put forth in creating the lusher synth oriented sections of the CD. This song is begins like it is going to be an atmospheric piece but quickly asserts itself with some great percussive elements that drive the song forward. It alternates between these more in your face rhythmic elements and with the keyboards that gain their own dominance later in the song. A great song to open this collection as it immediately gives notice to the listener that this is not going to be just another space/ambient release but something else instead. Another song that really caught my attention was Into the Deep which is track 5 on Treasure. This song does not lean towards the ambient/space music style of things but it does create a complex soundscape with lots of things to catch and hold your attention. The guitar on this track moves a little closer to front and center at one point during this song and Jon is in great form at keeping the guitar from becoming too dominant in relation to the other elements of this composition. Again this song emphasizes the diversity of talents that exists between these two musicians and that allows them to combine their sounds in a variety of unique and interesting ways. Treasure is an impressive start for these two individuals who joined forces to create something more than the sum of their individual talents and succeeded in a big way. While taking some of the best parts of ambient/space music and combining them with some driving rhythms and percussions Helpling and Jenkins have given the listener more than what they might have been expecting and beyond that they have given them some glimpses of the potentials for future releases from this duo. The music on Treasure is accessible and more than that it engages the listener emotionally and through the layered approach of the keyboards, the rhythms and the guitar keeps the listener plugged in right through the last song on the CD. Great job guys. AV recommended CD.